Neuroscience Ireland (NI) was established in 2005 as Ireland’s National Neuroscience Society, and is a registered charity in the Republic of Ireland (Charity number: CHY 18174). The aim of the Society is to advance research and education in the neurosciences in Ireland, and to represent Irish neuroscience researchers both nationally and internationally. 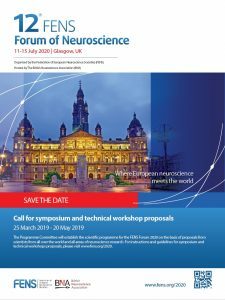 NI has a membership in the region of 200 scientists and clinicians, and represents Ireland on the Governing Council of the Federation of European Neuroscience Societies (FENS). 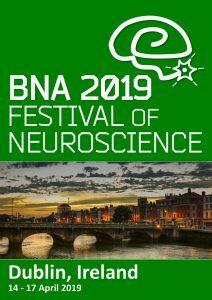 The biennial meeting of NI is held in September every second year, and serves as a multidisciplinary forum for knowledge and expertise sharing, thereby facilitating excellence in neuroscience research in Ireland. In order to promote Irish neuroscience research at international meetings, NSI offers travel bursaries to its postgraduate or postdoctoral members. The promotion of education in the neurosciences including outreach to the general public is also a goal of NI, and is facilitated by public lectures and symposia. A reduced registration rate for the FENS Forum. Access to the official FENS journal, EJN, online free of charge, and a subscription to the print edition at a reduced rate. Eligibility to apply for one of the free abstract slots for the SfN Meeting, linked to a reduced registration fee. Subscription at very attractive discount rates to several leading neuroscience journals. Eligibility to buy books at special FENS member rates. Receipt of the FENS e-mailings (Job Market, EJN table of contents etc. ).